Nobody really wants to tear the Astrodome down. That in a nutshell is why the process to determine what to do with it has taken so long even though there aren’t any viable alternatives to demolition at this time. A failure to come up with a feasible plan with the financing to make it happen could force county officials to confront a decidedly less popular option: demolition. And that reality is emotional, rooted in the deep nostalgia for a structure hailed as the “Eighth Wonder of the World” when it opened in 1965. Commissioner El Franco Lee, whose Precinct 1 is home to the Reliant, said in an interview last month he is “very” reluctant to tear down the 48-year-old stadium, which housed the Oilers and the Astros, as well as Houston Livestock Show & Rodeo events and Hurricane Katrina evacuees, before the city deemed it unfit for occupancy in 2009. Lee disputes that it definitely would be the cheapest option, though, because of the debt still owed on the Dome. According to the county budget office, that amount is now less than $9 million; payments are made with hotel occupancy taxes rather than property tax revenues. On Tuesday, Lee threw his support behind a group that said it is planning to raise as much as $500,000 to pressure wash the Dome in an effort to deter demolition. “It’s less likely to happen if we spruce up the building,” Chris Alexander, project director of Astrodome Tomorrow, told Commissioners Court. We propose to create a beautiful, green, safe destination attraction and park where civic culture and enterprise will thrive. The dome we envision will offer a variety of tenant spaces, including museum, institute, office, studio, retail, restaurant, and entertainment opportunities. Taken together, the redesign is intended to serve its surrounding neighborhood, the larger Houston area and tourists from around the world. It envisions collaborative contribution from segments of the entertainment industry, NASA and private space launch companies, the green/sustainable urban design community, and the urban garden movement. It is intended for night and day use, and it emphasizes fitness and active recreation. I have no idea how feasible any of that is, but here’s their Facebook page if you like the sound of it. Personally, I’m a bit concerned about how much water would be needed to pressure wash the Dome, given that we’re still in drought conditions. But I suppose that if we are going to do something other than knock it down, sprucing up the look of the place is where to begin. County Judge Ed Emmett last week said other options need to be explored before resorting to demolition, noting that most people he asks want to find a way to save the aging facility. He said he hopes to have town hall meetings so the public can weigh in on the issue. Precinct 3 County Commissioner Steve Radack, who said he sees the fate of the Dome as a financial rather than emotional issue, has asked the county’s Public Infrastructure Department to look into the feasibility of creating a lake, or large detention pond, if the dome is demolished. Radack said it could solve flooding problems in the area, including the Medical Center, and eliminate the county’s obligation to pay the city of Houston’s drainage fees, as well as, perhaps, provide an incentive for the city to pitch in on demolition costs. This is not the first time Commissioner Radack has proposed building a lake, though this is a more urban location than before. As we know, the HCSCC has approved a resolution calling for Commissioners Court to approve a demolition plan if they can’t come up with something else. Clearly, there’s no shortage of ideas for what to do, it’s just a matter of coming up with a way to pay for them, preferably with private dollars. The question is what will evoke the stronger feelings – tearing it down, or finding public money to do something else with it if no private plan is deemed viable. I totally don’t care about the Dome. I’m not native and to me the history of the place doesn’t outweigh its money trap-ness. I also think that most people don’t care about it but the ones that do, care an absurd amount. It’s a single purpose built building that no longer has a purpose. There is an easy solution to the debt issue. Instead of giving Bob McNair $30 million for a video screen use the cash to retire the debt and make a down payment on demolition. They have been trying for 10 years to do something. Game over. 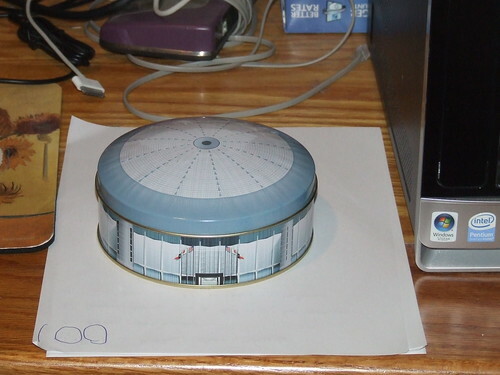 I liked the Dome and went to Oilers and Astros games there, but building the new stadiums put an end to its usefulness.